High blood pressure increases the risk of heart disease and stroke. 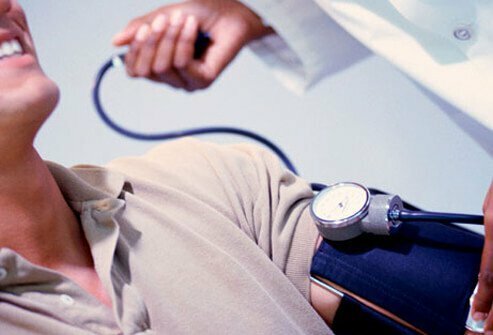 High blood pressure is medically referred to as hypertension. Keys to the treatment of high blood pressure are exercise, weight management, and a healthy diet. In fact, exercising makes blood pressure medications more effective. See your doctor before starting a new fitness program. Benefits of exercise can be achieved with workouts of just 30 minutes a day. 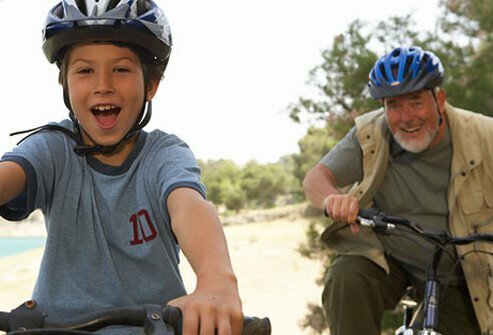 Riding bikes with the kids, doing housework, gardening, using the stairs, and carrying groceries all add up to exercise that benefits your heart. Try increasing your activity by parking at the end of the lot, or walking to your destination! Gym environments are not mandatory for your workouts. However, the benefits of trainers can be added safety and encouragement. Check with the trainer if you feel the exercise maneuver is improper or causing pains. Your routine will depend on your underlying health, your capability, and your endurance. Resistance training is beneficial in boosting your metabolic rate, reducing body fat, and increasing muscle mass. There are many ways to perform resistance training, including using weight machines, free weights, exercise bands, or abdominal crunches or curl-ups. Losing as little as 10 pounds can reduce or help prevent high blood pressure in many overweight individuals. 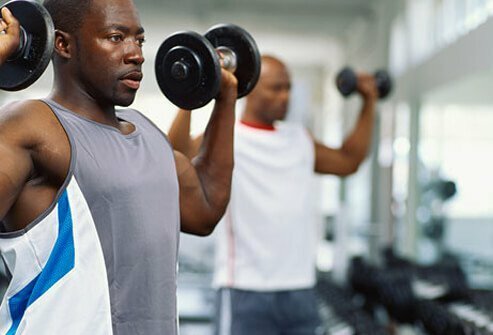 See your doctor before starting a new weight-training program. Aerobic exercise that causes the heart to beat faster is important for lowering blood pressure. 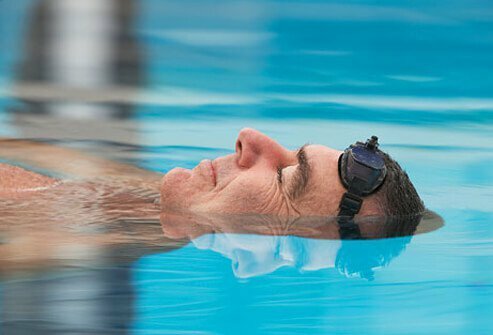 Try swimming at your local YMCA or fitness center if you don't like the heat. 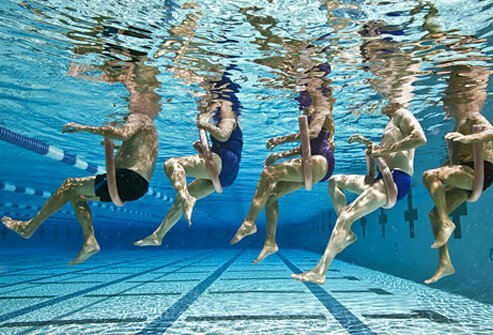 Swimming can lower your blood pressure and pulse rate. It is possible that with regular exercise high blood pressure can be prevented or controlled. 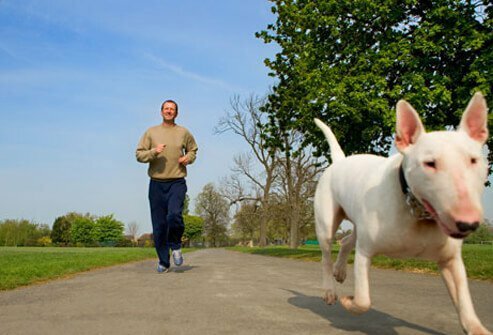 Sometimes moderate-level aerobic activities, such as brisk walking for 30 minutes a day, may be enough to decrease or eliminate medications. Exercise definitely can help medications work more effectively. Exercise itself can reduce blood pressure readings by as much as 5-15 mmHg. A gradual increase in the intensity of the workout is best for safety and effectiveness of lowering your blood pressure. 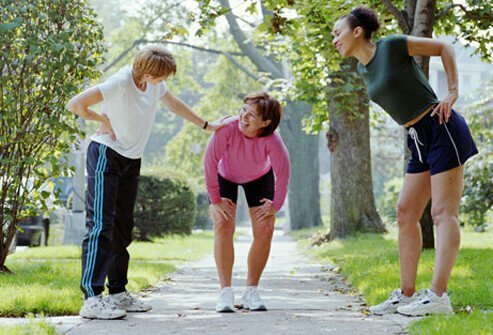 If you haven't exercised in a while, start slowly to prevent injuries. 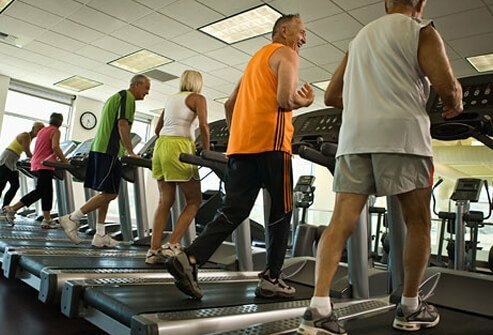 Begin with 10 to 15 minutes of exercise you enjoy, such as walking around the block or on a treadmill. Increase the duration and intensity of your workout until you reach the goal of 30 minutes each day. Avoid cramming your workout routine into a couple of days in an attempt to "catch up." When you are new to exercise, you must pace yourself. Go low intensity and enjoy the ride up! Try yoga, cycling (leisurely), gardening, mall walking, water aerobics, or moderate swimming. Increase the intensity and duration gradually as you become more fit. Your body and your blood pressure will both be in more ideal condition. Modify your routine to match your busy schedule. Try working out while the kids are at their sports practice, before or after work, or even during your lunch break! 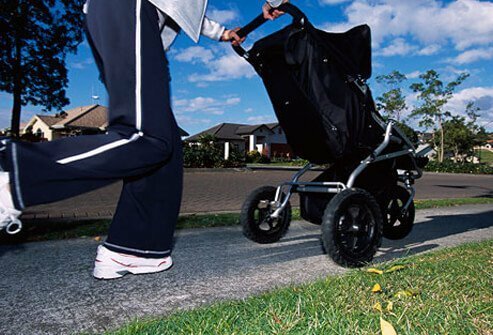 Even if you are housebound, consider getting a stationary bike or treadmill to move your body while watching the evening news or when the baby naps. For efficiency of your time, you could do 10-minute mini-workouts at different points of your busy day. Options are up to your imagination and include jogging in place, calisthenics, or actively vacuuming your house for 10 minutes with dance music on! The three 10-minute mini-workouts are your needed 30 minutes of daily exercise -- enough to help to optimize your heart's health. No time to make it to the gym? Design a home exercise program. Purchase a step bench, free weights, exercise bands or tubes, and/or yoga or fit ball. You've got a gym! 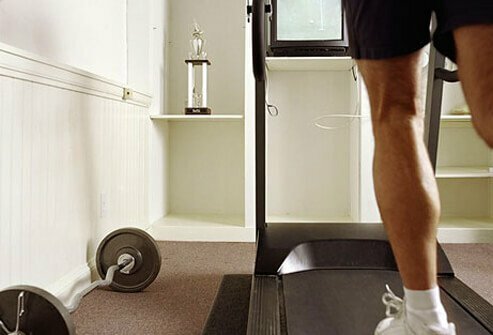 If you like, also get a treadmill or stationary bike to help you burn fat and build endurance. Helpful hint: try out all exercise equipment in a gym environment before purchasing your own. Warming up before exercise and cooling down after are important for people with high blood pressure according to the American Heart Association. This allows your heart rate to increase and decrease gradually. 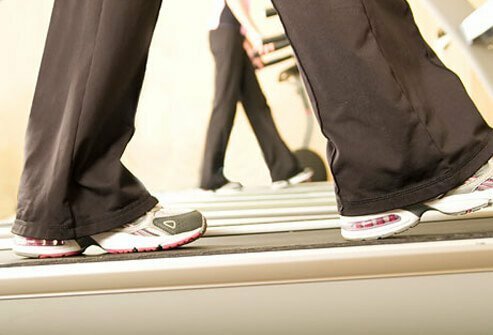 Just walking in place or on a treadmill for 10 minutes is adequate for warming up before exercise and also for cooling down after. Gadgets can help you focus and stay on target. Heart rate watches let people quickly assess their pulse rate. To use one: Apply the band that comes with it onto your chest underneath your shirt. You can see your actual heart rate as you work out by looking at the watch during exercise. This is an accurate measurement and is a good alternative to taking your pulse manually. Optimal training zones for pulse rate vary significantly. Ask your doctor to recommend the best target heart rate zone (or training zone) for you. 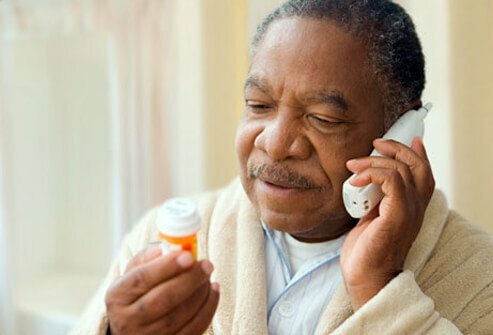 Medications used for heart problems and high blood pressure can slow your heart rate. These include beta-blockers or calcium-channel blockers. If you take these medications, see your doctor and determine the best target heart rate zone for you during exercise. Be aware of your limitations! When an exercise or activity hurts, stop! If you experience dizziness or discomfort in your chest, arms, or throat -- stop! Be realistic! Go slower on hot and humid days or exercise in an air-conditioned facility. When you have been sedentary, overweight, or have a high risk of coronary heart disease or other chronic health problem, you must have your doctor's approval before starting a fitness program. Have your blood pressure measured by a health care professional. They can advise you as to how often to have it rechecked. The DASH diet has been shown to lower systolic blood pressure (the top number in a blood pressure reading). Studies have shown a DASH diet can reduce systolic blood pressure by as much as 14 points. 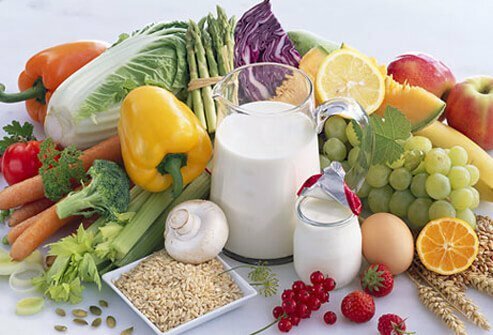 The DASH diet is rich in fruits, vegetables, and low-fat dairy products and is 2,000 calories a day. DASH is also low in saturated fat, cholesterol, and total fat. If you are overweight, losing as few as 10 pounds can help you reduce or prevent high blood pressure. 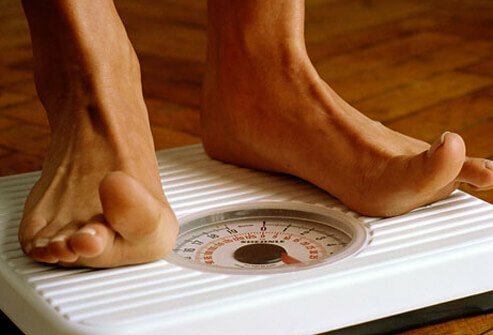 Weight loss results from taking in fewer calories than you use each day. See your doctor or a registered dietitian about how many calories you need daily for weight loss. Increase your exercise to burn even more calories! National blood pressure guidelines recommend limiting sodium to no more than 2,300 milligrams a day. This is about one teaspoon of table salt or 1,500 milligrams a day. A sodium-restricted diet can lower your systolic blood pressure (top number of the blood pressure reading) 2 to 8 points. Low-salt diets can also enhance the effects of blood pressure medications. 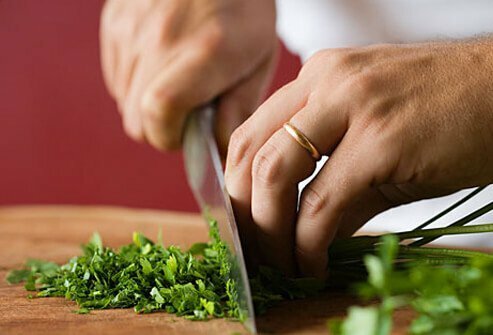 Try substituting herbs for salt when cooking, and avoid processed meats and canned foods. 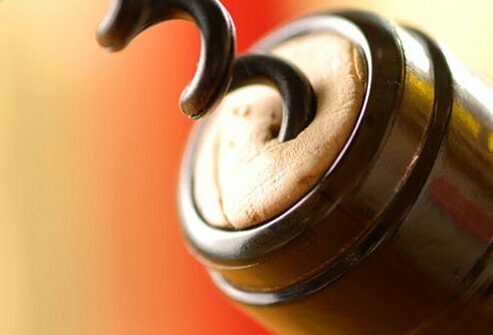 Beyond Exercise: Can Alcohol Help? The Joint National Committee on Prevention, Detection, Evaluation, and Treatment of High Blood Pressure recommends that people moderate their alcohol intake. They set the limit to no more than two drinks per day for men and no more than one drink per day for women. They define a drink as 12 ounces of beer, 5 ounces of wine, or 1.5 ounces of 80-proof liquor.